Sometimes you need more than one tool to get the job done. Sometimes these tools go together so well, that they become inseparable. Think of a peanut butter and jelly sandwich. Think of cognitive and behavioral therapies. It’s a logical similarity, no? The behavioral approach to psychology goes back to the early 20th century, and was made famous by the experiments of Ivan Pavlov with dogs drooling at the sound of a bell, or B.F. Skinner’s ‘Skinner Boxes’ which conditioned people to learn certain behaviors. Behaviorism sees behaviors as the ultimate sign and determinant of the human mind, and as such focuses on identifying and modifying behavior. Cognitive Therapy found its foundations in the mid-20th century, and emerged simultaneously around the world through the common culture as a way of addressing common problems. Albert Ellis and Aaron Beck are considered some of the most prominent popularizers of Cognitive therapies. Much as behaviorism is about modifying behaviors, cognitive psychology is about identifying and modifying thoughts. Their methods are similar, and as they address two different ways of being for people, marrying the two ideologies is more potent than either of them alone. 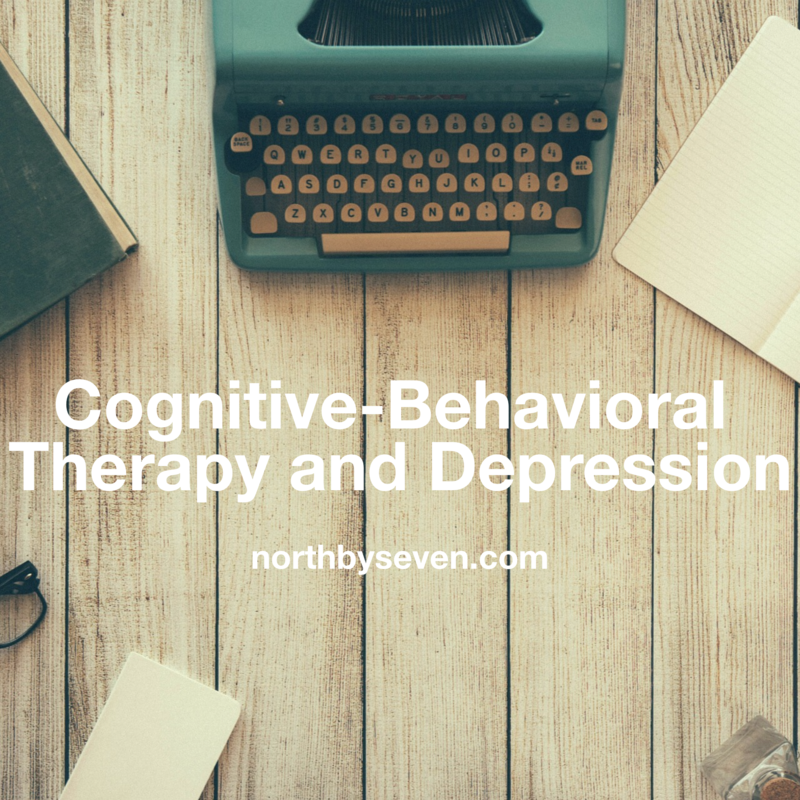 It is worth noting that there are many types of Cognitive and Behavioral Therapies available today, and each therapist will carry out each of those theories differently. Cognitive Behavioral Therapy therefore is more of a theoretical framework for countless techniques and ideas. What can I expect in Cognitive-Behavioral Therapy? Cognitive-Behavioral Therapy (CBT from here on) is a practice of therapy that is not interested in your past, unlike many other therapies. It isn’t even all that interested in your problems. The CBT therapist is much more concerned with your behaviors and your thoughts as they come up, and as they play a role in problems. The therapist works closely with the client, and in some expressions of CBT, also develops a warm therapeutic relationship with the client. Confrontation and teaching are very important parts of CBT. Using methods such as operant conditioning (the connection of punishment or reward to behaviors) or desensitization (either a long term exposure to a stressor, or a heavy exposure to a stressor), the therapist helps their client to create new patterns of behavior and lose old patterns of behavior. In regards to thoughts, the therapist will work hard to help you see flaws or gaps in logic, and will help you to set up new ways of thinking. The therapist plays a significant role in education during therapy sessions. CBT is the most empirically verified form of therapy, and it can often be one of the quickest forms of therapies for changes to occur in. There is some concern that if the root causes of a problem behavior or thought pattern aren’t resolved, new issues will take develop and the place of old ones. CBT places a lot of value on goals and tracking progress incrementally, through journals and therapist observations. Homework is often given between sessions, and self-help books and audio recordings are an important part of most CBT therapy programs. Therapists often play a role in keeping you accountable to your goals and your homework. Behavior patterns are easier to track and quantify, after all. Depression is generally addressed by CBT therapists as a developed pattern of illogical or flawed thoughts. The therapist will be interested in your internal dialogue with regards to depression. Today is an awful day. I failed so miserably at being responsible. I knew about that deadline for a long time, and I should have worked toward it earlier. How could I have been so stupid? I’m such a loser. They probably won’t accept my application because of how close I came to the deadline. It makes me look like I’m terribly disorganized. They wouldn’t be wrong anyways. I am always a failure. I never get things done properly. Yikes, that was hard to write. It was a train of thought similar to one I noticed earlier today before I wrote that down. A CBT therapist would look in on what I just said, and would start to challenge me on my statements. A concept that is important to cognitive therapy is the ‘Tyranny of the Shoulds’. Absolute language like should, or ought, or never is looked at and put into perspective. Exceptions are explored, and degrees of extreme are explored. Are you always a loser? Are you a complete loser, or only a bit of a loser? Do you always fail; where is the evidence? Is there a time where you got something done properly? In this way, they address illogical thinking, and bring in perspective that leads to insight. A client learns a gentler way to think about issues, and to become aware of the language they use in their head when they talk to themselves. A client learns to notice unhelpful thought patterns, and to interrupt them sooner with a more constructive thought pattern. This helps create more reality-based judgments than the absolute judgments we often have in our internal dialogues that go un-monitored. Furthermore, Behavioral Activation is a technique frequently used with depression where a client will be assigned tasks that they know are proven to enhance moods. Included on this list are intentionally spending time with people, getting a moderate amount of exercise, taking a shower, leaving the house, among others. This can be uniquely tailored to each client’s capabilities. Another technique clients often use in session as well as for homework is that of guided relaxation exercises. This is more on the behavioral side of the CBT, and this is teaching your body how to relax when you feel tense. Either a therapist or an audio recording will start talking you through many muscle groups, and telling you to tighten them, hold them tightly and be aware of the tightness, and then let them go and be aware of the release. For example, a recording may start at your toes, work up to your ankles, then legs, then abdomen, and eventually work on different parts of your face. These guided relaxation techniques help a client to be in a more productive frame of mind to discuss critical thoughts rationally. Therapists often encourage clients to keep thought and/or emotion journals, and to keep track of their thoughts and emotions in these journals between sessions. Clients can use these journals to track progress too. Do you ever pay attention to your internal dialogue? Do you speak to yourself the same way you speak to your friends and family, or in a different way? Have you ever thought something before that sounded so reasonable, but thought of it very differently when you said it out loud? Are your thoughts tickled and your behaviors appeased? Sign up for more! Add your email address in the box below to subscribe to this website. I'm too busy to spam you.